Dennis Lehane is the man. He’s written two of my favorite books, Gone Baby Gone and Shutter Island so least to say, when I received his new book “Since We Fell” in the mail I completely freaked out. I requested this book from Ecco without entirely knowing what it was about which I’ve been trying to do more often but OBVIOUSLY it’s a Dennis Lehane novel so I wasn’t too worried about not liking it. Rachel Childs was once a reporter with her whole life ahead of her. She was an up and coming star at the t.v. station employing her who knew she could make it big. When she is assigned to cover a disaster in Haiti her entire world changes. She becomes obsessed with exposing the world she is surrounded by while she is there. This difficult subject matter pushes her to the point of a breakdown. After her public meltdown, she essentially becomes a hermit. When she runs into an old acquaintance, Brian, after her current husband divorces her, she falls for him fast. She ends up marrying Brian who helps her with her anxiety about the outside world. But when she catches Brian in a lie, her entire world comes crashing down. Does she even know this man that she’s in love with? Since We Fell is 418 pages long and took me 5 days to read. I give this book a 3 out of 5 for keeping me guessing. It has a slow start and took me awhile to really get into it but once I did I was sold. 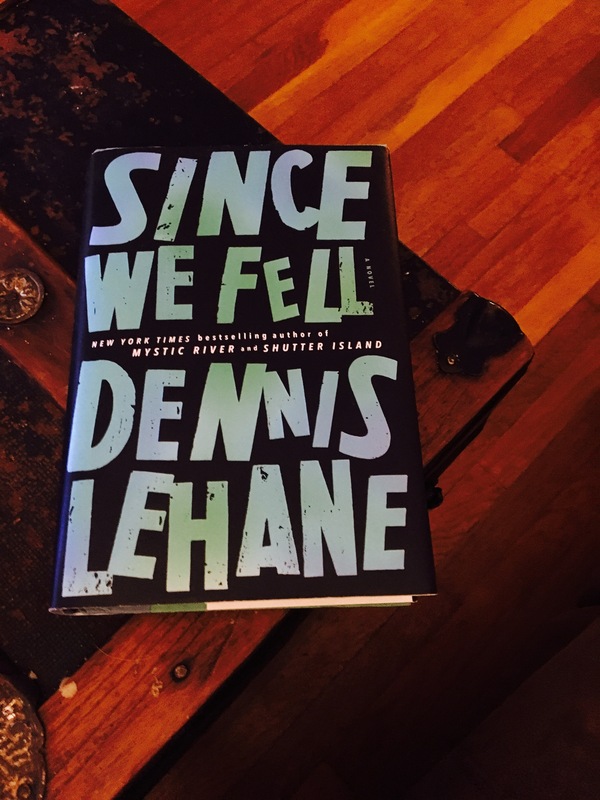 Lehane’s writing has a quality that keeps you thinking about the book weeks after you’ve finished. Thank you Harper Collins/Ecco for sending me this great addition to my Dennis Lehane collection!